"I do not plead, I merely produce documents, for and against, in the trial of opium." In this classic study Cocteau vividly describes his extraordinary experiences while taking opium, the drug to which he owed his 'perfect hours' but which, inevitably, exracted its price. Opium also contains reminiscences of some of Cocteau's closest friends, including Nijinsky and Marcel Proust, and provides revealing insights into the creation of such masterpieces as Orphee and Les Enfants terribles. The book is illustrated with Cocteau's own disturbing and powerful drawings. "Reefer Madness expertly and entertainingly charts the course of the killer weed from Colonial hemp crops to the present proliferation of pot as the biggest underground industry since bootleg booze." "Everything you always wanted to know about the history of grass in America--but were too stoned to ask." "Ounce for ounce, Reefer Madness packes more highs than a pound of sinsemilla." 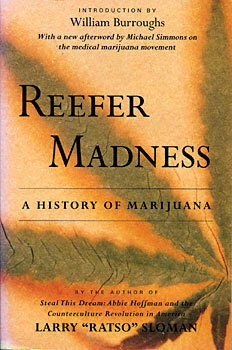 "The most objective, definitive book ever written on pot."